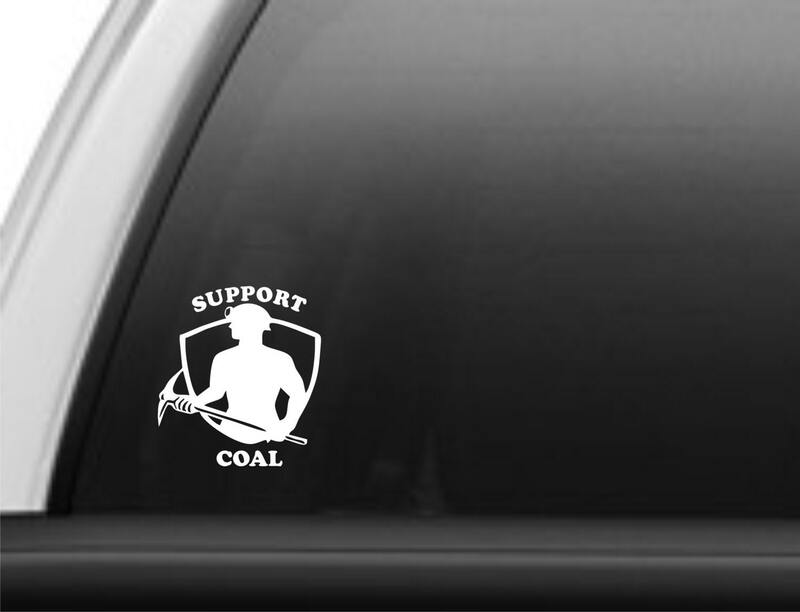 Support Coal vinyl decal- Approx. 3.75 x 3.75 inches. The coal industry is under attack! Show your support for a career and way of life that has sustained so many families for so many years. 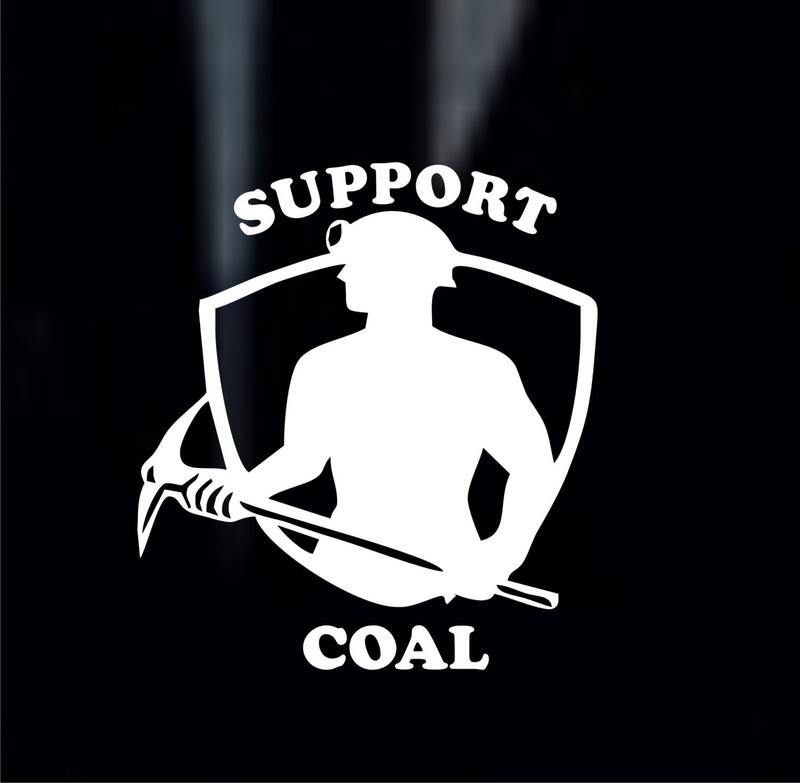 Support coal! We use only high-quality, outdoor vinyl. These decals are water and weather resistant. Easy to apply and the bright white vinyl looks great on tinted auto glass. Available in black or white. 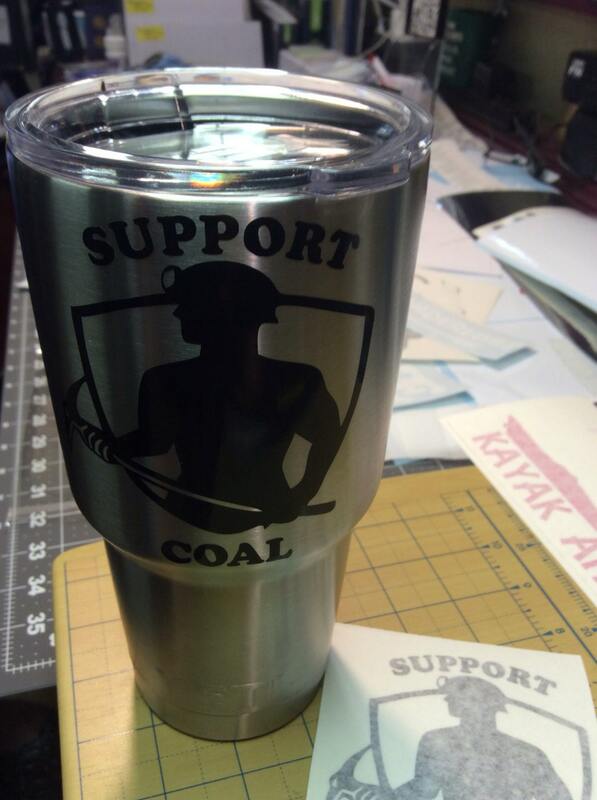 Looks great on a Yeti cup!